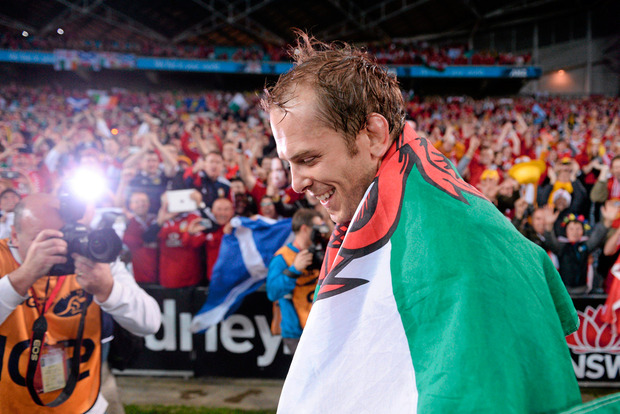 Alun Wyn Jones could be announced next week as Wales captain for this season's Six Nations Championship. The 31-year-old Ospreys lock's possible appointment would see him succeed Sam Warburton as Wales leader. Wales' interim head coach Rob Howley - in charge this season while Warren Gatland prepares for the British and Irish Lions' New Zealand tour in June - will name his Six Nations squad next Tuesday. And, while 69 times-capped Warburton will be part of that group, speculation has intensified that he will relinquish the captaincy role he has held since 2011, although there has so far been no official Welsh Rugby Union comment on his position. Cardiff Blues flanker Warburton, who has skippered Wales more times than any other player, led his country outstandingly in the last two World Cup campaigns and was Lions leader for the successful tour of Australia in 2013. But Warburton is reportedly more concentrated on producing top form and securing a starting place in Wales' highly-competitive back-row area. Meanwhile, England prop Joe Marler is set to miss the start of Six Nations next month after injuring his leg playing for Harlequins, the Premiership club confirmed. Marler fractured his leg in the warm-up for Harlequins' win over Sale on Saturday.